Dr. Gangrene's Mad Blog: Sara Karloff and other goodies at the Nashville Library! Sara Karloff and other goodies at the Nashville Library! 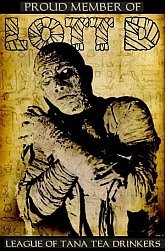 Greetings guys, gals and ghouls, it's been a few days since I've blogged here. Anytime I am absent you can bet I'm up to my eyeballs in projects, and that's exactly the case. 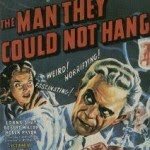 Saturday October 2, 2010, at 2 p.m. in the Main Library Auditorium at Nashville Public Library they're showing THE MAN THEY COULD NOT HANG, starring Boris Karloff. Great movie and very cool they're showing it! 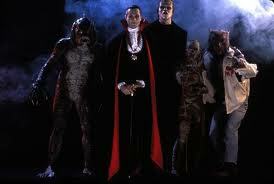 Then on Saturday October 23rd They're showing MONSTER SQUAD, the 1987 Fred Dekker classic, introduced by Dr. Gangrene! I am really looking forward to this - always a fun time introducing movies at the Nashville library, and that is definitely one of my favorite Halloween movies. Make plans now if you're in the Nashville area!! One other cool Halloween event they have going on this year is a fantastic shadow puppet version of THE LEGEND OF SLEEPY HOLLOW. 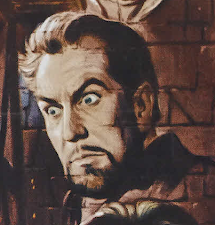 It is a one man play with shadow puppetry that climaxes with the Headless horseman slashing through the screen and emerging through it before a BLACKOUT! Awesome!